Where Does China’s Virtual Reality Industry Stand in 2017? The Chinese VR industry is increasingly making headlines, both for Bloomberg’s much quoted estimate that it will be worth $8.5bn by 2020, and because it has been the first to monetize VR in any meaningful way. Surveys show that Chinese consumers are willing to pay more than $15 per month for good content. The problem, and the opportunity, is that currently, there is very little of it. Kevin Geiger is here to help. 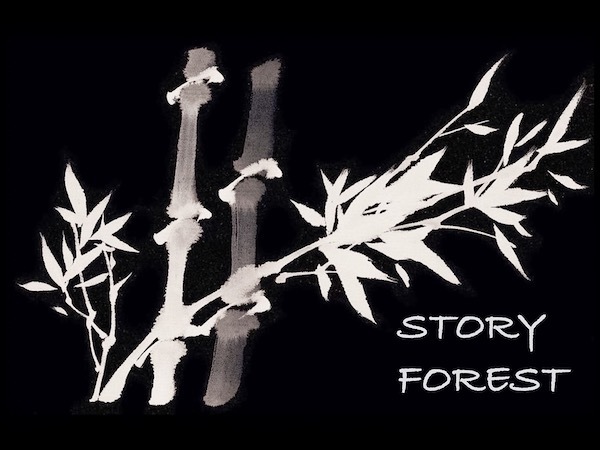 The former Disney CG artist first landed in Beijing in 2008 to produce projects and teach, going on to serve as Disney China’s Vice President and Head of Creative. 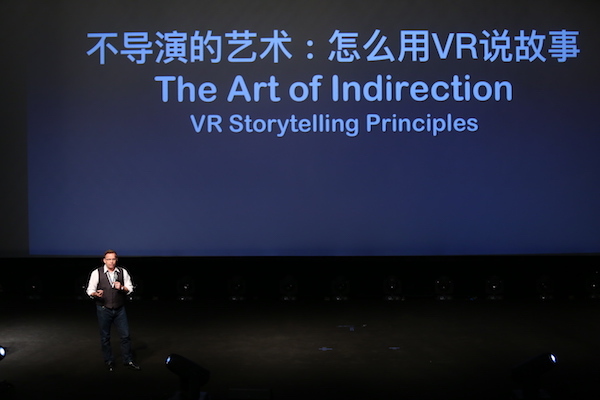 A little over a year ago he founded the International Animation & Virtual Reality Research Center (iAVRrc), a virtual and augmented reality content development studio operated by China’s leading film school, the Beijing Film Academy (BFA). 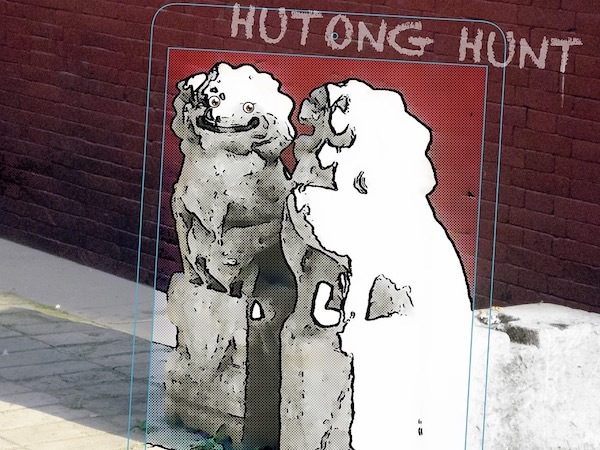 Between the center, his content production company (Magic Dumpling), a regular LinkedIn presence, AWN.com blog and his own online journal, the Ohioan has become one of the more prominent western voices in Chinese animation and virtual reality. We joined Geiger to get his take on the domestic industry at the end of 2016. PIG: In traditional media, China is generally seen to be a step back from the rest of the world. That appears to have changed with VR. Would you agree? 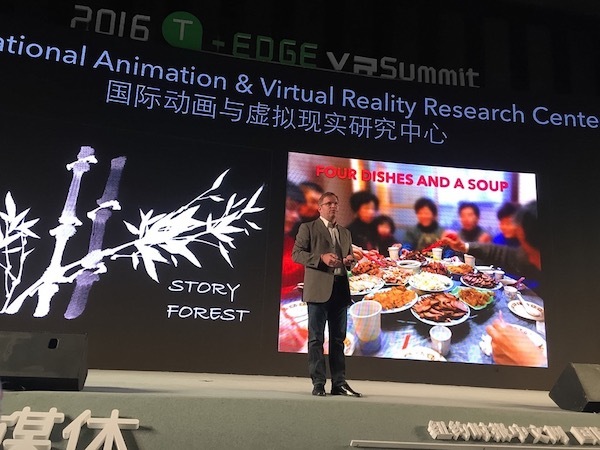 Kevin Geiger: In many areas of VR, China is ahead of the game. In terms of the energy level, China ranks number one. In terms of just the pervasive amount of hardware and software development, number one. On quality of the locally developed hardware and software, I would not say number one. Catching up, but still back a step from the rest of the world. There are far more experience zones in China than there are in the U.S. Even though they may be lower grade, they’re very pervasive. There’s not nearly as much content being developed here as elsewhere for VR, and not nearly of the quality. It feels like every VR content startup in the West is drawing on Pixar, Sony, Disney or Dreamworks for people to jump into the fray. China doesn’t really have that bench depth, and with the investment weariness in content, people are waiting to see who else is doing what before they jump in. And, frankly, there are a lot of restrictions. If you’re developing VR games, you fall into regulatory restrictions where have a one to four month regulatory approval period. If you’re a startup trying to get a game onto the shelf so you can recoup your investment, that can kill you. And of course, the content itself is tempered. Censorship does have a chilling effect on the entire ecosystem of creative development and production, and that’s not necessarily in the service of the business, the industry, or even, ultimately, the culture. 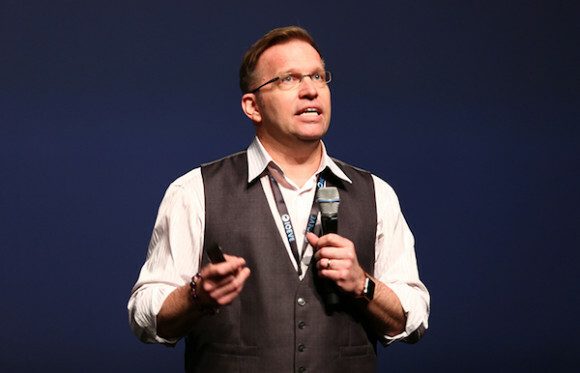 PIG: Why is investment in content lagging behind hardware? KG: Investors understand that content is the important thing. They know it, but they really don’t have the stomach for it. It’s more secure – but I think a false security – to invest in a widget, a piece of hardware or software, as opposed to an IP. If you don’t get the returns you want and you’ve invested in something physical, you can sell it off and recoup something. With IP, it’s not always the case. I was at an event yesterday where investors were talking about their disenchantment with content, saying, “We’re pulling back from investing in content. We’re going to focus on hardware and hope the content that’s developed uses that hardware.” I’m biased, because I’m a content guy, but I was a little surprised to hear that stated so bluntly. It seemed a regressive approach to me, but I respect their points of view. PIG: Do you think that attitude is widespread across China’s virtual reality industry? KG: I hope not. Investors in general run the range from informed to uninformed, and from bold to risk averse. China has enough people in every area of the ecosystem that even if 200 people say they’re not investing in content anymore, there are thousands more who are. I don’t think it’s necessarily epidemic and certainly Alvin Wang (China Regional President, HTC Vive) said he doesn’t see a chilling effect. From his point of view, even though investors are asking more questions, he sees a widespread enthusiasm for the entire chain: hardware, software content distribution. PIG: Which China-created VR experiences have impressed you? 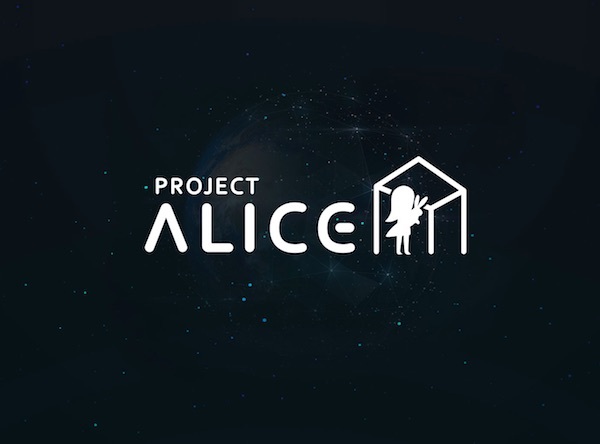 KG: I was impressed by Noitom’s Project Alice here in Beijing – this mixed reality experience of physically holding a bar stool in my hand, feeling the weight and the shape of it and seeing a digital representation of it in VR. I was very aware that I was in VR, and the CGI rendering was not photoreal, but it didn’t have to be. It was so compelling that, very quickly, the other things in the room that were not mapped to a physical object became dangerous because I would want to sit on something that didn’t turn out to have a physical corollary. When I visited their lab, the enthusiasm of the team really had that buzz that you expect at the best places. It’s a big loft space with a 3D printer for rapid prototyping pieces of hardware on the fly. There’s this middle aged Chinese seamstress on an old Singer sewing machine stitching together plastic and spandex full body suits. Espresso machines every five meters. Just the energy and the enthusiasm of the people working there is encouraging to me. PIG: With the dearth of truly spectacular experiences or a real business model, the West is arguably in the “trough of disillusionment” when it comes to VR. Can we expect something similar in China? KG: Friends of mine in Chinese companies, whether they’re developing content or software, have said it was much easier to get money in Summer 2015 than it is has been this Summer (2016). The people who are still investing have more questions than they used to, whereas before they were just throwing money at you. The silver lining is that it will separate the serious from the non-serious and have everybody take a breath and figure out, okay, what is the business model? Everybody with their heads on fire, as they were a year ago, doesn’t necessarily mean that something’s being accomplished. If everybody just starts developing hardware, software or content, without any real way to distribute it, with no pipeline, then it’s all just a lot of pomp and circumstance for nothing. Investors need to really think about if they’re in it for the long term or not. Especially in China, many investors are very unrealistic in terms of the simple mathematics of how long it takes to get a return. Take the time of development, production, post and the approval process time – which in China is one month to a half year – then add the distribution, and only then is your first revenue trickling back. You’re talking about a year or two at least before you can start to see any kind of revenue, let alone profit. So if you’re not in it for that, don’t waste your time or the time of the people who you’re giving money to. A VR startup with investors that want a quick turnaround on profit is always required to undercut the more innovative things it’s trying to do and come out with a dumbed-down, scaled-down version, just to try to make a quick buck. If investors do have a stomach for it, I think there’s a payoff. I see a future and that’s why I’m involved, but it’s not a quick buck kind of situation. It’s going to be about putting money in, whether that’s an investor, or a producer like myself deferring fees on a project that I think will advance something. I think that’s really what’s required to get the seriousness that you need for true progress. PIG: What does the International Animation and Virtual Reality Research Center do? KG: We’re squarely focused on content, across virtual, augmented and mixed reality. We’re trying to demonstrate that it’s possible to create Chinese content in China by Chinese that follows the prescriptions of what’s permissible, but can also still be engaging. The Deans of the school gave me a pretty wide berth, but the two guidelines are: one, everything we do has to represent Chinese culture and represent it in a favorable way, and two, that there should be some educational component. That might sound like a recipe for disaster, where you’re going to end up with this didactic or preachy bit of content, right? That’s what we’re trying not to do. We’re trying to have the medicine taste good so that you don’t notice that you’re being taught something.